CASA was the driving force behind the acceptance of the Traditional Longhair in Silver and Golden varieties by the WCF. The breed is now appreciated in many countries and forms part of the return to the less extreme type of cat, preferred to many pet - and show cat owners. *(There is a claim by one Diana L Fineran of the Traditional Cat Association in the USA, that she has Federal Trademark and Copyright of the breed names "Traditional Longhair" and "Classic Longhair". She has been unwilling or unable to provide proof of this on request and refuses to communicate with CASA on this matter via e-mail. She has written several threatening registered and unregistered letters to CASA containing false claims, demanding 25 000 US dollars per month for the use of her Trademark, which does not exist. She states that she will not receive e-mail communication, as it is considered "spam". The website of the organisation has not listed the breed name until last checked on 12 September 2013. Only "Traditional (Doll Faced) Persian Cat" is listed. Searches by individuals, clubs and lawyers from several countries could not find any evidence of the terms "Traditional Longhair" or "Classic Longhair" being Trademarked or Copyrighted internationally. Only the name of the organisation is trademarked in the USA and the book/s published are copyrighted. The trademark of the breed name "Traditional Siamese" has expired (it is listed as "dead" on the database of USA trademarks). No other cat breed names are trademarked. 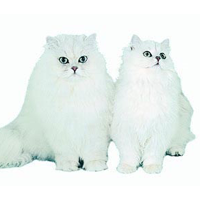 CASA applied for a South African Trademark for the cat breed "Traditional Longhair" on 12 September 2013, in order to protect the breed in the country where it was first developed and promoted. This was declined by the law firm as it is not permitted to trademark a cat breed in terms of our Trade Marks Act. If a local club is unable to register a trademark, it is not possible for a club from the USA to own a trademark in South Africa either. Until such time that incontestable proof of the trademark and copyright ownership of the breed name "Traditional Longhair" in South Africa, is received by CASA, from a lawyer with jurisdiction in South Africa, the term will not be removed from our site or records. A USA Federal trademark, if it exists, covers only the Federal States of the USA and not South Africa. The following website gives insight into the actions of the TCA as organisation: http://www.siamesekittens.com/hist1.html - see the heading 1986 - 2003. This site states: "Many of the CFA Traditional style Siamese breeders were harassed out of business by a campaign of misinformation or various other tactics including a claim by the TCA that it actually owned the name Traditional Siamese and no one could use the name without permission. This case was taken to court and The Traditional Cat Association was found not to have exclusive right to use this name." Update December 2013: Diana L Fineran continues to send numerous letters via ordinary post. These are now being returned, unopened, by CASA, as we will not tolerate this kind of harassment. Links to a few websites, giving insight into the history, actions and attitude of The Traditional Cat Association and Diana Fineran. Please note these links are provided only for those interested in the background of the claims that the WCF and CASA are not entitled to use the term Traditional Longhair. The views and expressions are those of the authors and not necessarily that of CASA or the WCF.